Grew up with BC Zalgiris Kaunas (Lithuania) juniors. Made his debut with Zalgiris Kaunas 2nd Team, NKL, during the 2016-17 season. 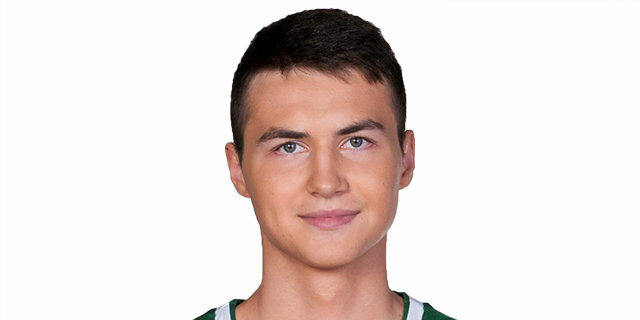 He's still playng there, and also made his debut with Zalgiris main team during the 2018-19 season. Has been member of the Lithuanian U-16, U-17 and U-18 National Team. Won the silver medal at the 2015 European U-16 Championship. Won the silver medal at the 2017 European U-18 Championship. Won the bronze medal at the 2016 World U-17 Championship. Won the bronze medal at the 2018 European U-18 Championship.